Although I'm not a particularly religious man, I find that religious subjects fascinate me, both as a sculptor and a painter. I've been commissioned to make a number of religious artworks, including woodcarvings and paintings. 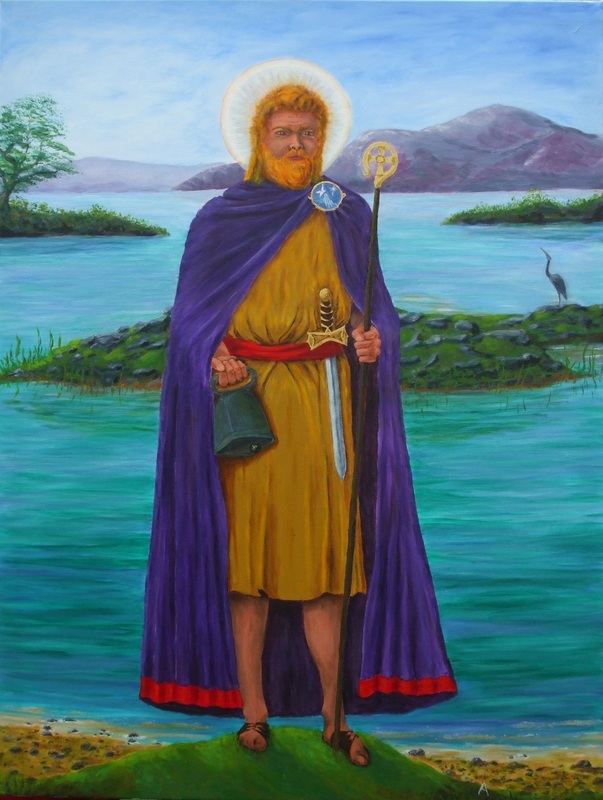 The early Celtic saints in particular are a rich source of inspiration. The Execution - Crucifixion with hand made driftwood frame. Available to purchase at £3500. Suitable for a church interior. St Mungo of Glasgow - his 'dear green place.' This artwork is for sale. St Patrick, banishing the snakes from Ireland. This artwork is for sale. St Kessog, commissioned for St Kessog's Primary School in Balloch.